Manager Mike Shildt promises that the Cardinals will build on the 2018 season. A club that was hovering around .500 when Matheny was dumped in July set a record for consecutive series wins and climbed into the playoff race well into September. St. Louis was eliminated on the season’s penultimate day, but the organization was left feeling much better about the future. 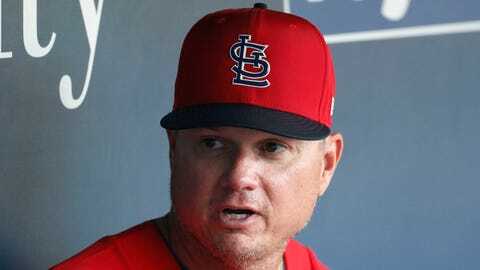 Shildt, who never played the game beyond college, was so impressive in righting the course as a first-time manager that the Cardinals stripped him of the interim tag well before the end of the season. That answered the biggest question heading into the offseason. “What I take away is really simple, really how you respond,” rookie outfielder Harrison Bader said. “Kind of got kicked in the teeth a little bit, but to have 162 games and then ultimately it come down to the last four or five, playing meaningful baseball that late in the season is what it’s all about. Dexter Fowler hit just .180 with a handful of stolen bases, and considering he is due $16.5 million each of the next three seasons, the Cardinals need their offensive sparkplug to be more spark and less plug. Pitcher Brett Cecil also struggled. Yadier Molina proved he’s still one of the best backstops in the game, even though he missed some time with a nasty groin injury. The 36-year-old catcher hit .261 but slugged .436, and he belted 20 homers with 74 RBIs while helping to bring along a young pitching staff. Injuries decimated the staff early in the season, but that merely thrust some young guys into the mix. Now they’re poised to form a formidable rotation next season, and competition to crack it will be brutal in spring training. Miles Mikolas and Michael Wacha are sure things, but Alex Reyes, Jack Flaherty, Carlos Martínez, John Gant, Dakota Hudson, Austin Gomber, Daniel Poncedeleon and others are eyeing a job. Despite so many returning pieces, the one thing the Cardinals could use is a middle-of-the-order slugger. Manny Machado or Bryce Harper would fit the bill, but the bill is also quite large. Regardless, the Cardinals could use a consistent force in the middle of the lineup.